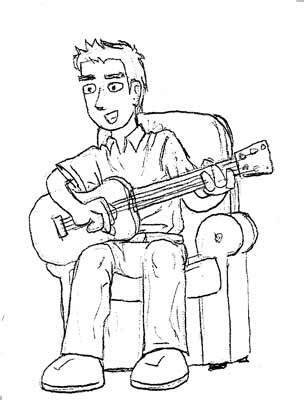 Check it out, it’s a sketch of James playing the guitar! There are more new sketches at the Sketch Comedy Facebook Page. Because we are so sketchy.